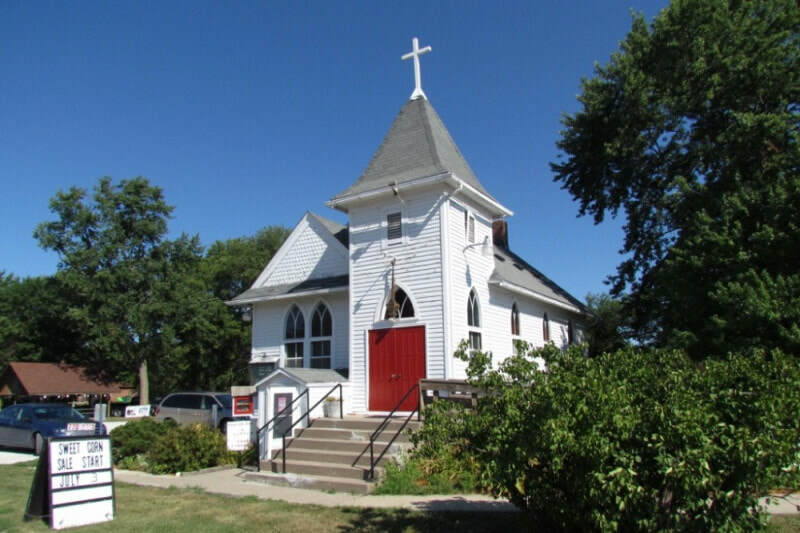 In the Spring of 2019, the city of West Des Moines will continue its road expansion construction on Ashworth Road, which will necessitate the move of the historic church building to a new site, approximately 300 yards north of its current site. In addition to moving the church, we will be constructing the addition of two restrooms, a water fountain and galley kitchen, and making other modifications to bring the building to current city codes and ADA compliance. Our objective is to preserve the building while making it available and fully accessible to community organizations and nonprofits. We are excited about the possibilities for its future use by local groups, extension services, scouting groups, meetings, recitals, and educational events. For more information on West Des Moines's plans to widen Ashworth Road check out the link from KCCI. For local press on our new move please click on the link: Des Moines Register. 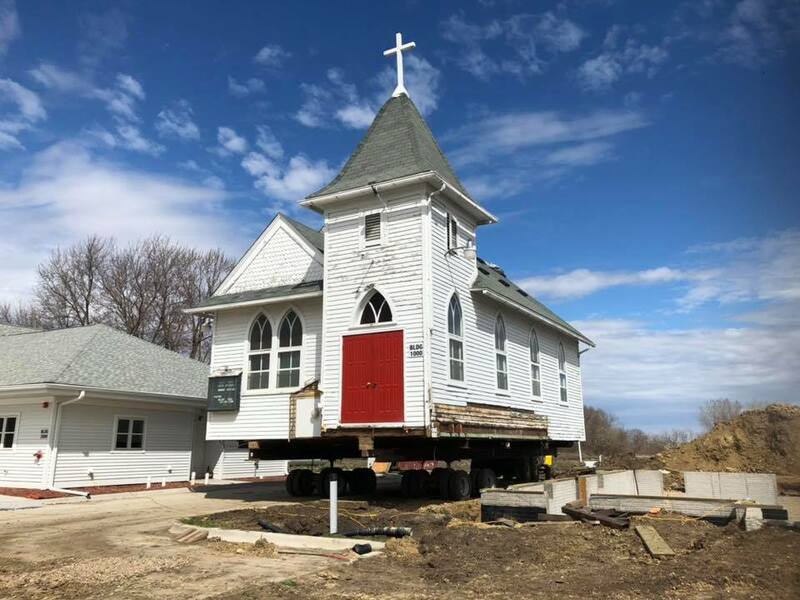 ​"Century-old church moved 150 feet for construction project"
"Historic church building in West Des Moines wheeled away from expanding Ashworth Road"
We are located in a growing community in Waukee. 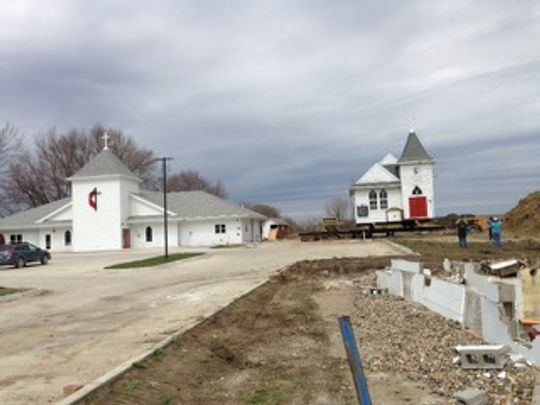 Our existing church building must be moved back from the road due to the impending widening of Ashworth Road. Our building also needs to become more accessible to our members and guests. During this time of growth our vision for our community building is to provide a larger space for community events, wedding receptions, child care and exercise. Now and always, we welcome everyone to our worship service and other spiritual activities. Build new community building-Ground work began November 2017. Our new building is scheduled for completion in September 2018. In October, Maple Grove UMC opened its doors to the community in a new ministry home that includes a multi-use worship space & fellowship hall, kitchen facilities, a nursery, Pastor’s study and space for youth & adult small groups. These spaces will be vital tools for our ministry and mission, helping people connect with God and with one another. In this space, we will welcome new people from our growing suburban neighborhood to connect in Christian fellowship, grow in faith, experience healing and hope, and change the world. The building construction is complete, but we still need some finishing touches – things like furniture and equipment that will make the building a welcoming home. By providing a “housewarming gift,” you can be part of this important moment in the life of our church and invest in ministry that will transform lives for years to come! A donation towards the purchase of these items would be a great opportunity for your end-of-year giving. Please consider supporting our ministry in this way! The next priority is purchasing large, round tables and chairs for church-wide dinners and family events, and smaller cafe-size tables and chairs for weekly fellowship and coffee gatherings. The tables and chairs have been priced at Sam's Club. You can shop from the list here, or make a dedicated financial gift toward the purchase of these items. Some items can be purchased at a discount when bundled with multiple items. Additionally, we are hoping to raise enough funds to install the commercial fire-suppressing and venting hood needed to make the kitchen a fully functioning cooking kitchen, instead of a warming kitchen. Its cost is estimated at $18,000 - so far we have secured $5,000 toward that cost. A chili cook-off fundraiser will be held in January to help with this cost, as well. Questions can be directed to Ron Sweeney, chair of the building committee, or to Pastor Melody Webb. ​Tax-deductable donations can be mailed to PO BOX 845, Waukee, IA 50263.